Shaw’s is an American chain of grocery stores based in Massachusetts that sells baked goods, deli, dairy, liquor, grocery, meat, seafood, sushi, snacks, frozen goods, produce, and flowers. The history of the company goes back to 1860, when George C. Shaw established a teashop in Portland. Maynard Davis, owner of grocery stores in Massachusetts, bought Shaw’s teashop and made it a subsidiary of his own public market (then known as Brockton Public Market). At present, the grocery chain is operating over 154 store locations, from Rhode Island to Vermont. However, Shaw’s is most popular in Greater Boston, Vermont, and New Hampshire. The company is also popular among job hopefuls because of the benefits it offers: a 401(k) retirement plan, paid holidays and vacation, product discounts, paid sick leaves, flexible schedules, life and disability insurance, and mobile phone use. The best thing about this company is the fantastic relationship between staff members and the management. Team leaders help subordinates and new hires perform their duties well. How old do you have to be to work at Shaw’s? The minimum age of applicants who wish to work in the supermarket is 16 years old. Labor laws differ in each state, and student applicants must first secure a permit from their parents and/or school. Applicants may apply at corporate offices and supermarkets. Listed below are the available jobs at Shaw’s and their corresponding descriptions and qualifications. For a more detailed description, check out the company’s careers webpage. The Retail Clerk is responsible for accepting and receiving merchandise, handling cash payments, and providing excellent customer service. He shall stock shelves, set up advertising displays, promote products, mark tag prices, and pack items for customers. He must be team-oriented, hardworking, and committed to the values espoused by the company. The Courtesy Clerk offers prompt assistance to customers. Aside from attending to customers’ concerns, he also efficiently handles and resolves complaints, and helps guests locate products on shelves. Whenever necessary, he shall bag groceries and bring items to the customers’ cars. The primary duties of a production clerk are checking inventories of raw material, managing production data, and ensuring the whole production process is error-free. In addition, they shall evaluate products for quality control, assemble products, receive and label store items, and prepare orders for delivery. The Customer Service Clerk provides and explains product information to customers. He shall answer their queries and ensure 100 percent customer satisfaction. Because the job involves handling of complaints, the clerk must have excellent communication, problem solving, and interpersonal skills. 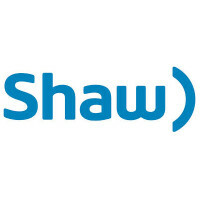 Shaw’s is looking for a baker who can do the following tasks: preparing pastries and food items for the supermarket, following the recipes set by the supermarket, proposing and developing new recipes for baked goods, directing bread production and deliveries, and keeping the cleanliness of the work station. Aside from helping the baker prepare food items sold at the store, he shall bag the items and handle cash transactions. He must be knowledgeable about pastries so he could recommend the products, especially to first-time guests at the store. A cake decorator must have a keen sense of detail, ensuring that designs are unique, intricate, and uniform. He knows how to use baking and cake decorating utensils such as decorating kits, knives, mixers, spatulas, and photo cake machine. He also sees to it that his work area is clean. Meat cutters should be able to cut and trim meat according to various cooking and preparation methods: steaks, roasts, chops, and other cuts. They make sure that the meat is fresh and presentable. On top of these duties, meat cutters attend to customers’ needs and keep the store clean and safe. The Bakery Manager not only knows how to bake, but also how to train and handle his staff. He shall supervise the operations of the bakery, monitor pricing and inventory, push sales, and help the team target profit goals. He is good in decision making and in motivating the staff. The Warehouse Clerk is in charge of loading items into trucks for deliveries, or for unloading these items. He shall assemble orders and track shipped and received items. Organized and hardworking, the warehouse clerk maintains supplies, assists in processing orders, and lists down acquired items. There is no application form ready for downloading, but you could ask the store and/or recruitment team for one. You’ll also find an online application form in the careers webpage. Fill out the necessary details and don’t forget to bring your resume when you visit the store location of your choice. Check all the information before hitting the Submit button. Shaw’s Supermarket is big on family values. Thus, it requires applicants to undergo drug tests after the initial interview. It is only after the drug tests that you would know whether you’ll be called to the final interview. The hiring team also appreciates resumes that include only your relevant skills and certifications. You might as well include the core values you share with the company. Applicants are usually called for interviews 2 to 3 days upon filing your application. The General Manager, District Manager, or Assistant Manager screens applicants and conducts the initial and final job interviews. Shaw’s prioritizes family values such as honesty, integrity, passion, and commitment. It also offers customers fairly priced items and ensures that each guest is well taken care of. The company is currently raising funds for Project RISE, a non-profit program that caters to at-risk children from Boston. Project RISE stands for Respect, Integrity, and Success through Education. Shaw’s likewise promotes and targets its sustainability goals by providing “green” products and services, and building a green culture through communication, education, and engagement. It even assists customers in their own personal sustainability goals. Some of the company’s projects and social responsibility programs are 1) its commitments to sustainable seafood; 2) Zero Waste Management; and 3) the usage of reusable bags. 1 How old do you have to be to work at Shaw’s?